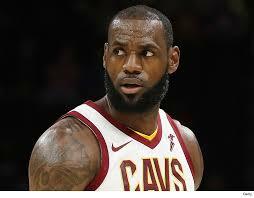 LeBron James becomes youngest player to reach 30,000 points – Royal Times of Nigeria. LeBron James made NBA history on Tuesday , hitting the final shot of the first quarter to become the youngest player ever to reach the 30,000 career points milestone. The Cleveland Cavaliers superstar James, who turned 33 on December 30, surpassed Kobe Bryant as the youngest to hit the regular season mark. Bryant was 34 years and 104 days old when he reached it. James delivered by nailing a step back jump shot against the San Antonio Spurs with 1.1 seconds remaining in the first for his eighth point of the contest and 30,001 overall. James finished with 28 points on 10-of-23 shooting from the field in the Cavaliers’ 114-102 loss to San Antonio, boosting his total to 30,021. James came into the game needing just seven to scale the height only six others have achieved so far. He joins Kareem Abdul-Jabbar (38,387 points), Karl Malone (36,928), Bryant (33,643), Michael Jordan (32,292), Wilt Chamberlain (31,419) and Dirk Nowitzki (30,808) on the select list of high scorers. “Congrats #KingJames. Welcome to the club!! !” Nowitzki wrote on Twitter. James opened his scoring night with a drive and a left-handed layup with 7:19 left in the first quarter. He added two more points on a finger roll layup with just over four minutes left. He got to within one point of the mark with 64 seconds to go with his first successful jump shot of the game. “Congratulations to LeBron on reaching 30,000 points – yet another milestone in an extraordinary career that continues to inspire,” said NBA commissioner Adam Silver. There was a very good chance history would be made on Tuesday at the Spurs AT&T Center arena as James came into the game averaging 26.8 points, 7.8 rebounds and 8.7 assists per game this season. James attempted to do it at home on Saturday, but finished with just 18 points on eight of 17 shooting in a 148-124 blowout loss to the Oklahoma City Thunder.